This throw quilt is the 3rd quilting class offered by Amy Gibson on Craftsy. 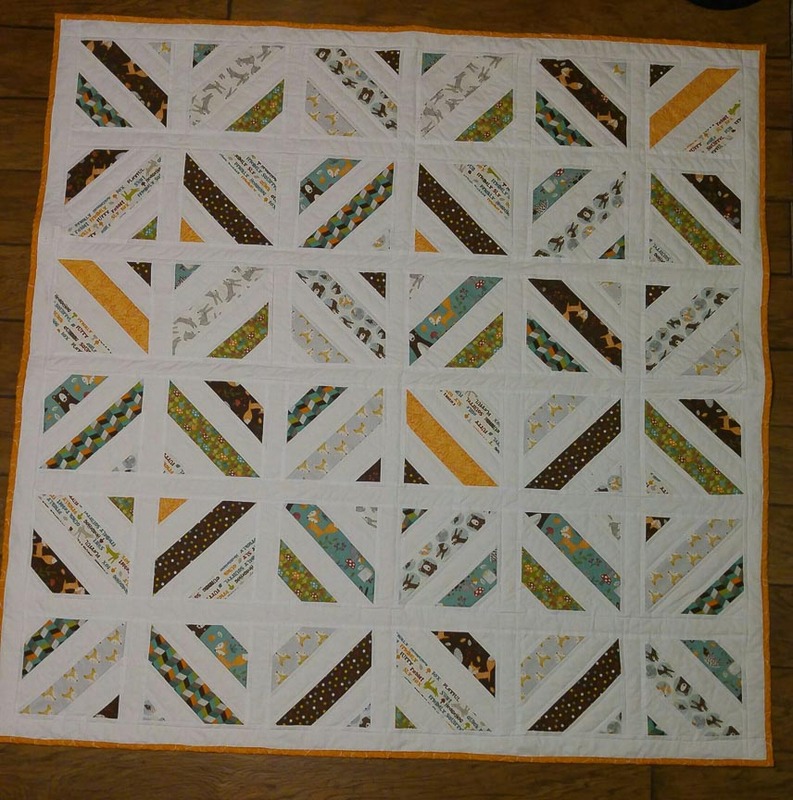 Her first class showed me how to make a baby quilt and the 2nd class showed me how to make a table runner. All of her classed are great. Amy Gibson also has a great BLOG filled with lots of inspiration. Sewing machine, walking foot, rotary cutter, self-healing mat, 12.5″ X 12.5″ ruler, straight pins, 50 WT thread, safety pins, painter’s tape, batting and fabric. The fabric chosen for my throw quilt is very colorful. The patterned jelly roll strips were a gift for Mother’s Day. 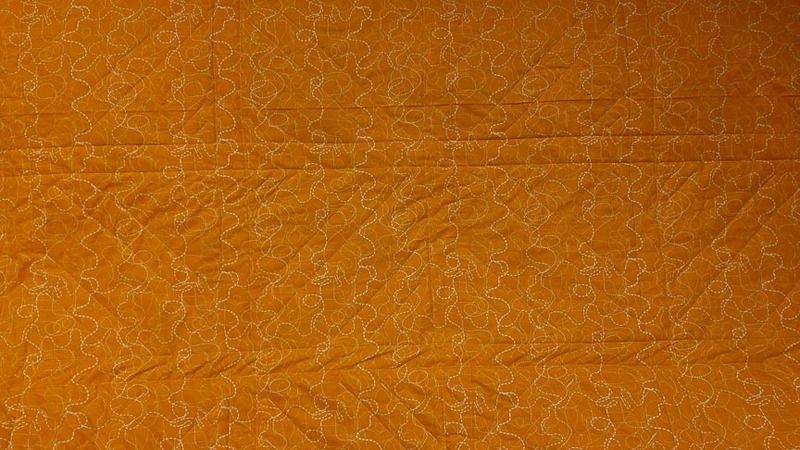 I picked up the white Moda fabric for the quilt top from Joann Fabrics. I was lucky enough to find a backing fabric at Shipshewana of all places. Here is a close up of all the patterns. 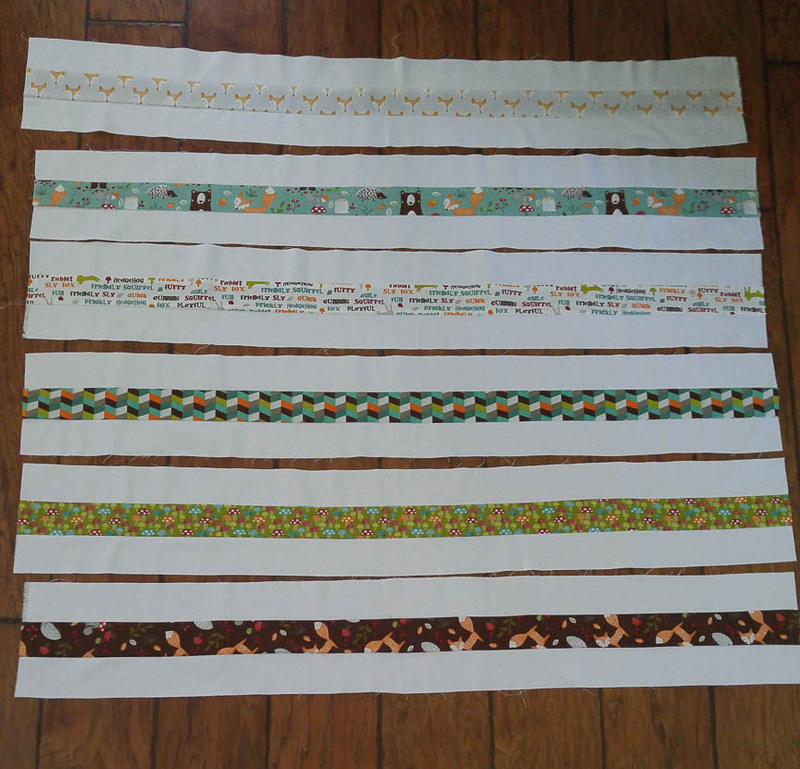 I cut all the strips for the blocks, sashing, borders and binding. Making the strips for the quilt. I made 6 sets with 2 patterns and 1 white strip. I made 6 sets with 1 pattern and 2 white strips. I attached one strip from each set and made a tube. 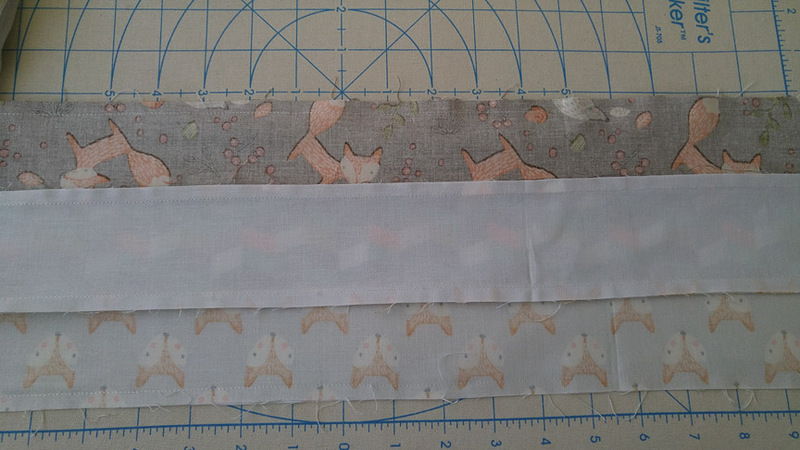 I used the ruler and lined it up with my 1/4″ seam. I trimmed off the end of the strip. This piece will end up being a scrap. 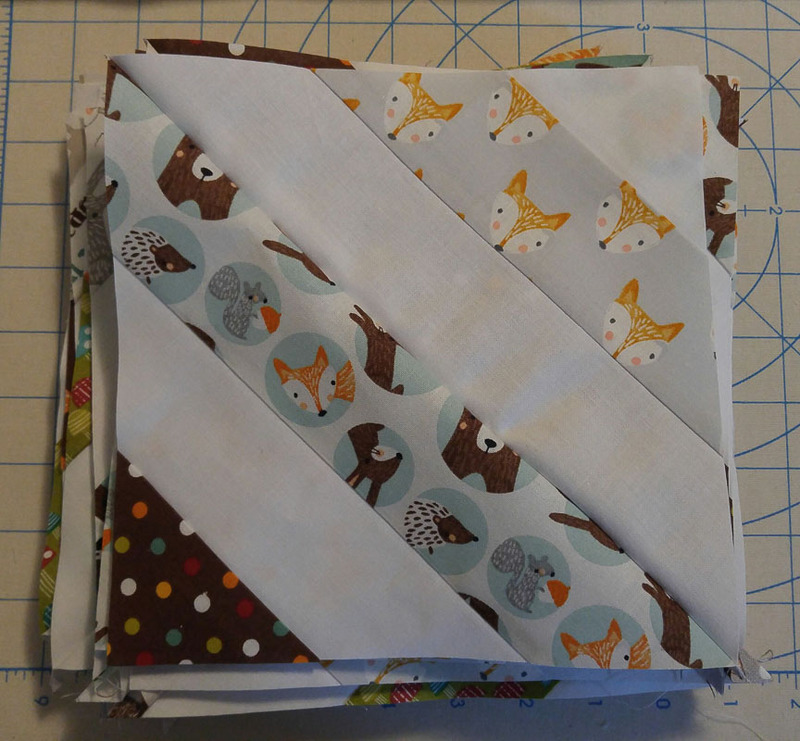 I continue cutting across my strip until I have 6 closed triangles. When I open up my folded triangles, I now have squares. My 36 stack of squares. Squares all pressed and ready to lay out. I collected each of the design rows into piles to keep organized until I was ready to sew them together. I put a sash between each of the squares. A completed row with the sashing. All of the rows completed. 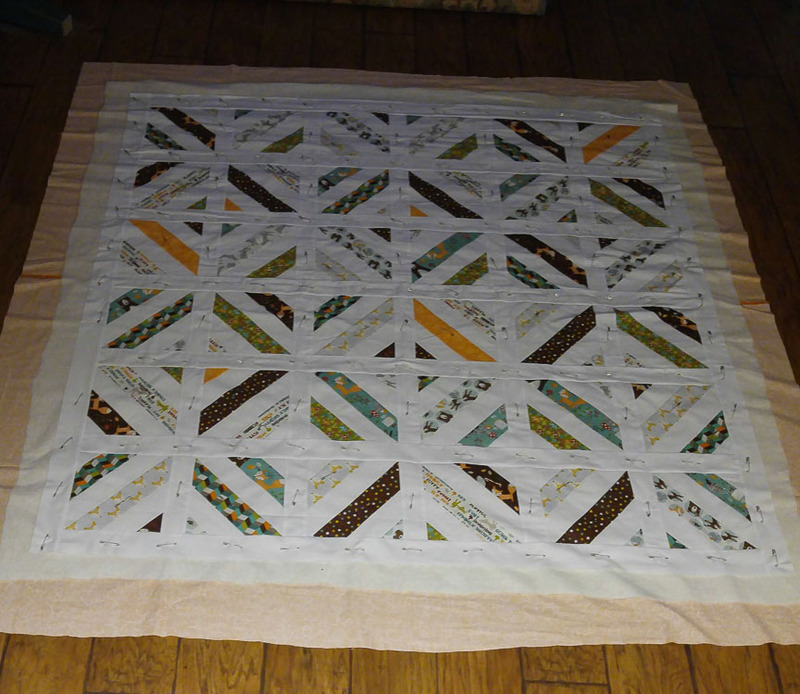 Now I added the horizontal sashing between each of the rows. Here is a look at what the sashing will look like. Be sure to press the sashing for a cleaner look. Adding the border sashing to my quilt. The completed quilt top. Now to get started making the quilt sandwich. Time to add the quilting. 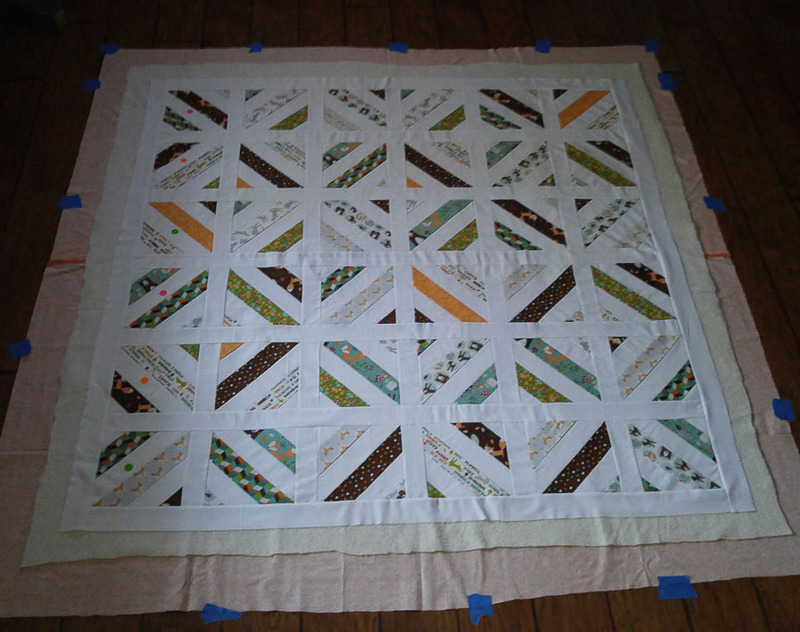 Quilting lines along the sashing. Top of the throw with quilted. Bottom of the throw quilted. Full view of the top of quilt after I trimmed the side edges. Getting ready to make my own bias strip for the binding. Strip all ironed and ready for binding. I took bias strip and attached it to the back of the quilt. I made sure the end of the binding would fit perfectly flat along the bottom of the throw. Then I folded the binding towards the front and attached it along the edges. I finished up the quilt with just enough thread. It was a close call. Finished quilt. All ready to be thrown in the wash with a color catcher. Another view of the quilt. Head on finished quilt. I love how it turned out. I am so happy with the results and I can’t wait to show this quilt off. I love your sewing machine. It is so reliable! Beautiful work! Thank you! I love my machine. Thanks! My kids picked up that jelly roll pack at Hobby Lobby for me. Beautiful quilt and easy to follow directions. Thanks for sharing.